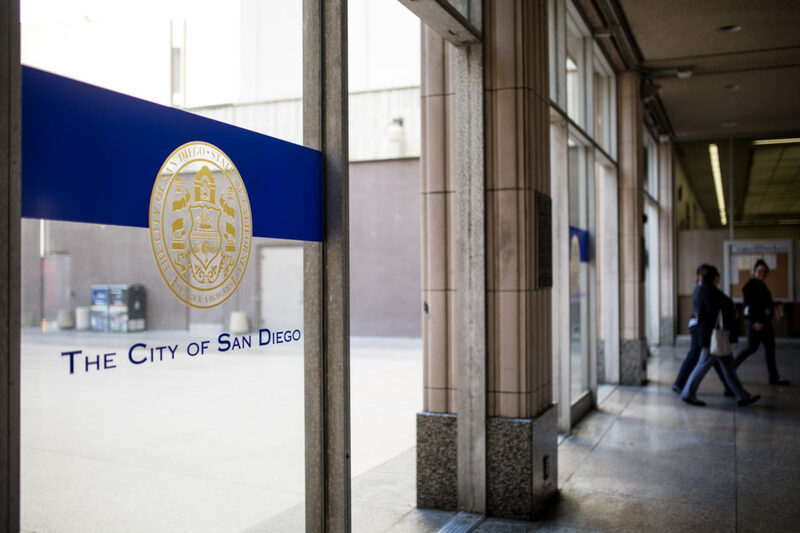 The San Diego City Council, acting as the Housing Authority, unanimously voted Tuesday to move one of the city’s temporary homeless shelters to a new location at the San Diego City Hall concourse and adjacent Golden Hall. Father Joe’s Villages operates the Single Adult Women and Families Temporary Bridge Shelter, which currently sits at the intersection of 14th Street and Commercial Avenue. According to the city, the current shelter site is scheduled to be remodeled into affordable housing units, leaving the shelter searching for a new location. The shelter will be operated at the City Hall-adjacent area from roughly April 1 to June 30. By then, in theory, Father Joe’s will have found a new site for the shelter. The city’s bridge shelter agreements with Father Joe’s will also run out by then, necessitating a renewal to keep them open. The city currently oversees three bridge shelters with Father Joe’s Villages, helping the city’s homeless population move into long-term housing units. In September, the city touted that the shelters provide beds, food and social services to nearly 700 homeless residents each night. The shelters have also helped more than 300 homeless residents move into long-term housing since they opened in late 2017 and early 2018, according to the city.